I am happy for the extra daylight in the evenings and hopefully will be going for a walk more often now! I'm going to get a body composition test tomorrow, and will be curious to see how the numbers compare to my first one back in August. I'm only down about five pounds from that last one, so it will be interesting! I *really* want to get it done again in a month from now but I don't know if I'll be able to arrange that. Oh! I did have one of the chocolate chip cookies a little warmed up today - I had left it in my car in a little plastic gladware thing, and the icing had melted a little. It was tastier! 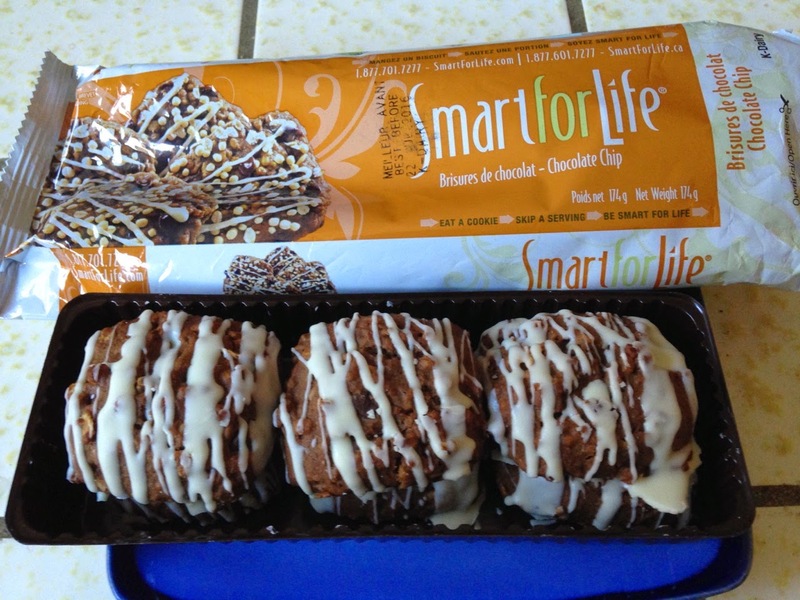 After eating seven packages of these on the Smart for Life "cookie diet", let's do the official review. Here are the "Chocolate Chip Cookies" - they come six to a package, since you're directed to eat six cookies each day (and a protein and veggie dinner). They're okay, at best. I do like these more than the Oatmeal Raisin Cookies but it's a far stretch to call these cookies. They're definitely more like mini-muffins, but very dense. 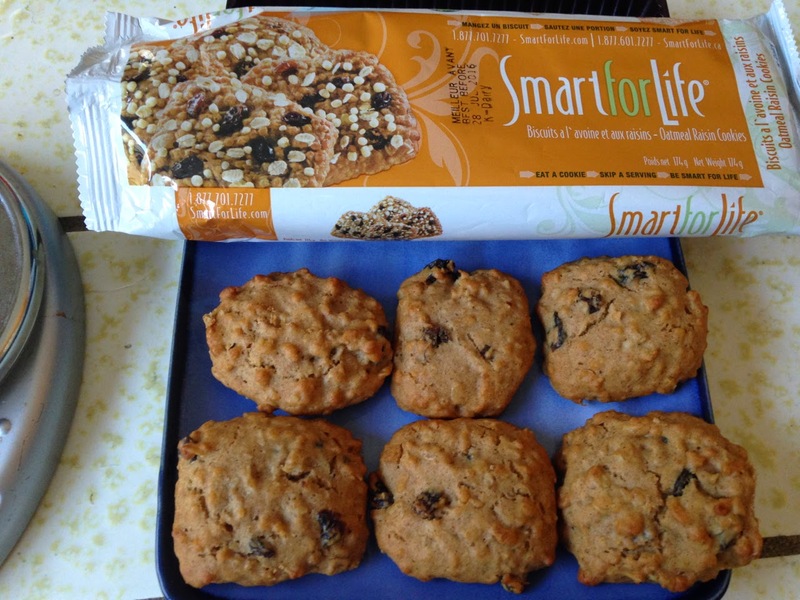 They're somewhat dry - not as dry as the Oatmeal Raisin variety, but definitely drier than most cookies or muffins. The white icing is okay enough. The highlight of these are the chocolate chips - but some cookies have only one and some have six! If they put the chips on top to help make sure they were distributed equally, it would be so much better. I am losing weight while eating these, but full disclosure - I'm also having some gastrointestinal issues too. Ugh. Good: I'm still losing weight! Yippee! Four pounds away from my first goal! Yeehaw! Bad: I am having a lot of.. erm... gastrointestinal distress? I've looked at the ingredients in the cookies, and there's nothing explicitly in them that I know I have an intolerance for, but something is amiss. There's the unfortunate "natural flavor" ingredient in each of them, which could be throwing my intestines for a loop. I don't know what it is, but I think tomorrow and Friday, I'll only have the chocolate chip cookies to try to narrow this down between the two varieties. I do have an intolerance for ginger - which is not explicitly listed in either cookie - but perhaps it's in the oatmeal raisin cookie. Nutmeg and cinnamon are listed in there, and ginger often accompanies those. So, we'll see. I think this might be nudging me away from the cookies more quickly than I had intended. I really wanted to hit my first two goals and be at my pre-pregnancy weight before I moved off the cookie diet. But clearly, if there's something in these cookies that is causing this GI problem, then I need to stop them much earlier. 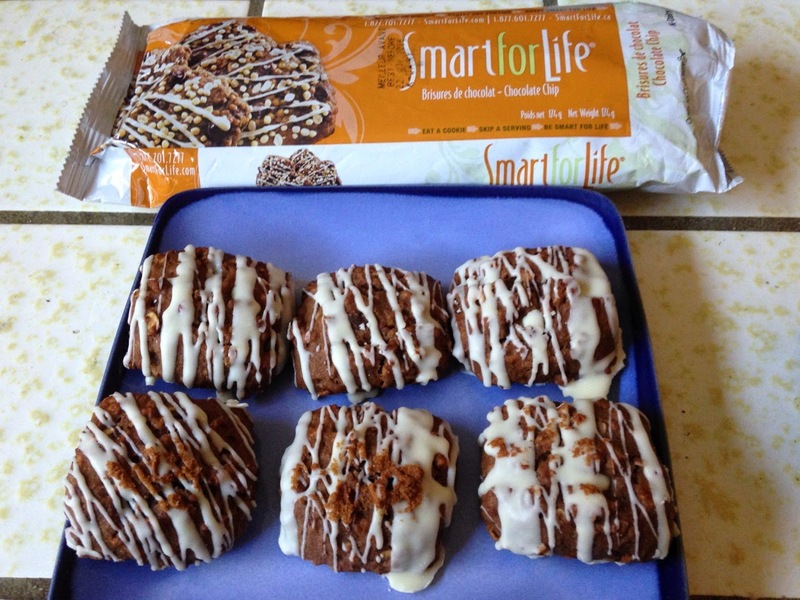 After over a week on the Smart for Life "cookie diet", it's time to do an official review. 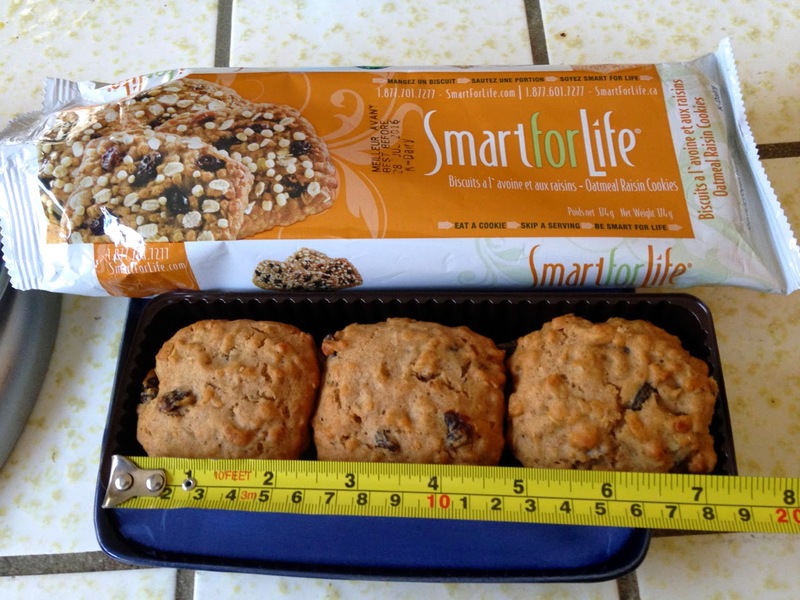 Here are the "Oatmeal Raisin Cookies" - they come six to a package, since you're directed to eat six cookies each day (and a protein and veggie dinner). each of the six cookies on one plate - note the big range in appearance. So... how do they taste? Well, they're not horrible but I wouldn't call them good. I wish there were more raisins - I have had at least three cookies with one only raisin in each of them. When this is all you're eating until dinner, you cherish each raisin. ;) Despite the variation in size, they all weigh within 10% of each other (yep, I weighed each of them individually). There's some spice cake flavor in these - with nutmeg, cinnamon and "natural flavor" listed in the ingredients. They are a bit dry, and you definitely need to drink a lot of water with them. I dislike these a little more than I dislike the chocolate chip cookies - but they are working to help me lose weight, so I don't truly despise them yet. Ahhh, I knew this day would come but I didn't think it would be day 8 of the cookie diet! Yes, today, I weighed myself and I had a half-pound gain from yesterday. I poured over my food diary from yesterday, and the only thing that I can think of is salt - last night I used too much salt accidentally when roasting cauliflower. But I was in my calorie range according to myfitnesspal (did I mention I'm using that all the time now too? I find it much easier to use than my prior food tracking web site sparkpeople.com and myfitnesspal has a free app!). So... we will see what happens on the scale tomorrow. I am not giving up hope on this, but I am definitely feeling a bit burnt out for sure.